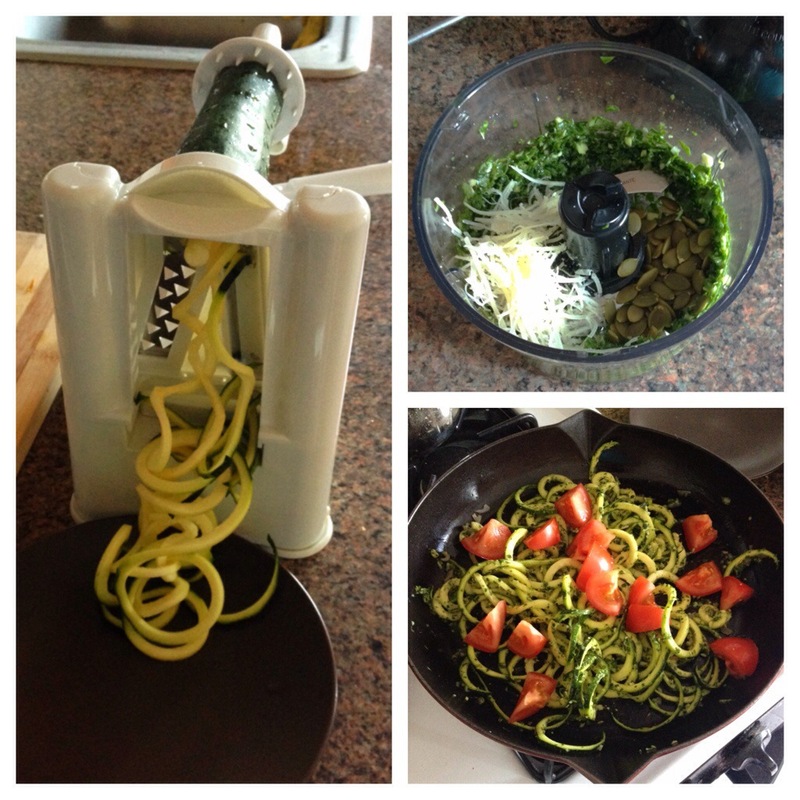 So zucchini noodles! I decided to make thick ones because I wanted to sauté them and I thought they’d hold up better. As such, they definitely look like curly fries, but it turned out ok. Into my mini food processor attachment on my immersion blender! 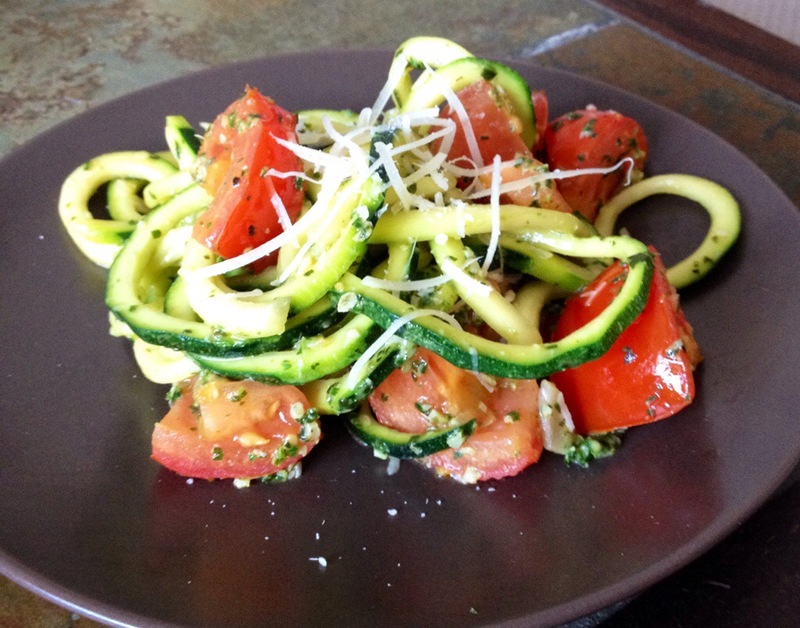 Serve sprinkled with more Parmesan! Definitely doesn’t fool you into thinking that it’s carby pasta, but it is delicious! And fun to eat! And pretty! Thank you so much for the opportunity! I have added my blog to your site.